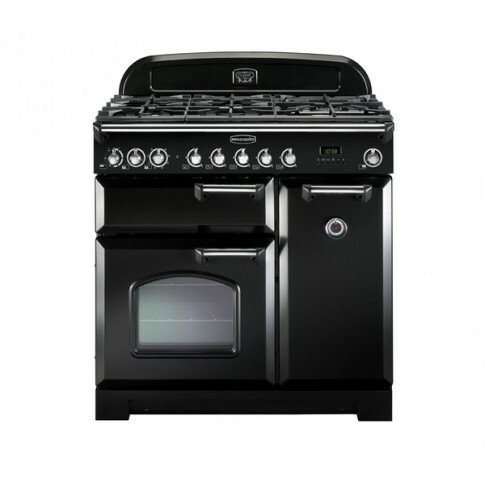 Rangemaster Classic 90 LPG range cooker with 5 burners and available in a range of colours. Measuring 90cm in height, 90cm in width and 60cm in depth. Featuring separate grill, high-powered wok burner and innovative Handyrack, as well as solid door with porthole, allowing for food to be checked during cooking. This product also comes complete with a 2 year manufacturer warranty. Please note: Our Rangemaster cookers are made to order and have an estimated delivery time of 7 weeks.